Regal House Publishing, 9781947548107, 164pp. Mateo always assumed he’d make the baseball team with his buddy Jason, but when only Jason makes the team, his mood sinks low. So low, he knows he has to do something about it. But what? What can he be good at? When Mateo wins free lessons, he discovers he’s pretty good at roller-skating. And it doesn’t hurt that the most beautiful girl he’s ever laid eyes on happens to be Roller City’s star skater. But still, roller-skating? No way can Jason find out Mateo is whirling around in girly skates—anybody halfway to cool would be hanging at a skate park, on boards or blades. Other issues stacked against him are the strong reservations of his mother who feels Mateo should be spending his time studying, not skating, and his inability to eat gluten—no more grabbing a pizza with the guys. 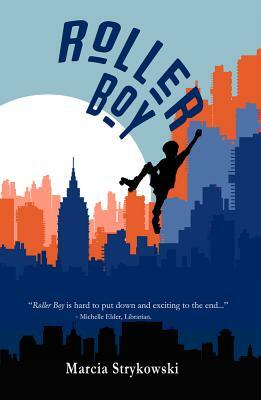 Despite these conflicts, Mateo keeps his sense of humor and channels his innermost strength into an incredible ride on roller skates that just might take him all the way to regionals. Marcia Strykowski works at a public library and is a member of the Society of Children’s Book Writers and Illustrators. She is also the author of Call Me Amy, chosen for Bank Street College of Education’s Best Books of 2013, and Amy’s Choice. Find out more about Marcia and her books at www.marciastrykowski.com.